Cozumel (San Miguel de Cozumel), Mexico - Calle 2 Norte Entre Rafael E Melgar Y 5 Av. Due to our location, the Hotel Plaza Cozumel offers an excellent panoramic view of the Island and Cozumel's Sea Channel. 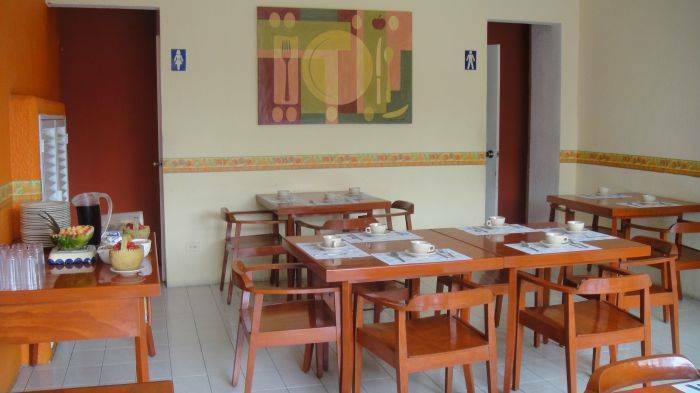 Our location and facilities allow us to meet the needs of business men and tourists that visit us. The access of Hotel Plaza Cozumel is fast from any point of the island, because we are in the downtown commercial and tourist heart of Cozumel. Walk a few steps and visit the Cozumel Museum, the Main Square and Ferry Pier in front of us. If you are planning a fantastic vacation, then Hotel Plaza Cozumel is the perfect place to stay. Make your stay unforgettable. If you are planning a fantastic vacation in Cozumel then our hotel is the perfect place to stay with friends or family. An experience beyond accommodation, make your stay unforgettable. Our spacious rooms allowing our guest ton enjoy the privacy and silence needed for a welcome rest. Walk into a warm and caring atmosphere in classical light and bright colors, where you will find the comfort that you deserved. Cozumel is located at 18 km of the eastern coast of the Yucatan Peninsula and its the largest inhabited island of Mexico. It's been occupied since the beggining of our era and was an important ceremonial and comercial center of the Mayas. With the Spainish conquest it became depopulated, with no visitors exept ocasional pirates and hunters of turtles. It remained like this until 1852 when mainland settlers that where escaping from the war of chaste arrived. In the decade of 1960, the world returned it's eyes to Cozumel, due to the studies of the French ocean investigator Jacques Costeau about the coral reefs that border it. Today, Cozumel has become one of the sites of recreational diving with more reputation and an important point in the routes of cruises of the Caribbean. Since 1982, LA MISSION has been known for its fresh seafood and its excellent Mexican cuisine, the hospitality, the quality of its employees, and for the slogan "SI NO TE GUSTA, NO PAGAS" (If you don't like it, you don't pay). Cancellation Policy Customers can cancel their reservation free of charge up to 2 days before arrival. Calle 2 Norte Entre Rafael E Melgar Y 5 Av. If you fly into Cancun – ADO offers an A/A bus service to Playa del Carmen departing either from the domestic or international arrival gate. The ticket booth is located at the exit door of each gate. The shuttle fee is around US$9, per person, one way. 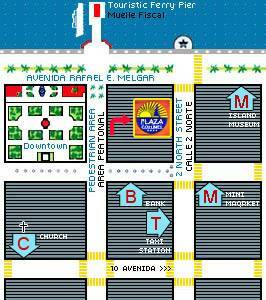 Your trip will end at the Bus Terminal at Playa del Carmen's main square, just two blocks far from the ferry pier. Ultramar and Mexico waterjets these are the companies that offer the service of the sea bridge between Playa del Carmen and Cozumel. The crossing takes approximately 45 minutes in comfortable and modern catamarans up to 350 passengers. Schedules differ according to the season and it has an approximate price of US $13. 00 per person on single trip. Our location allows you to walk from the pier.